I believe leaders are learners – and, there’s no better way to learn than to be an avid reader. I would like to share a few books to add to your list this year. Like me, Gair has a background in radio. Also like me, he shares the value of keeping promises. In his book, he talks about how companies can learn to keep the promise that matters. I love how it helps to answer the big question, “Why us?” This book will help you identify what sets you and your company apart. 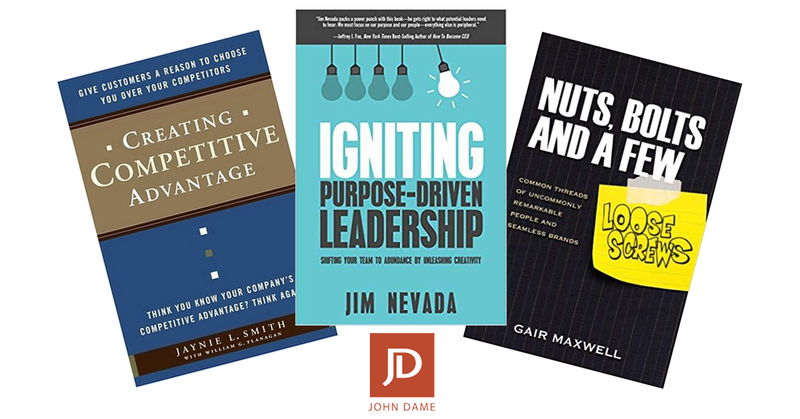 Nevada reveals the secrets to why purpose-driven leaders have been so successful, through a series of stories on some of the most enduring companies in history. He shares that they all do two things: they focus on their purpose and they unleash the creative energy of their people. If you want some great reads that will inspire you this year, I encourage you to check out these books. Better yet – pay it forward, too! Sign-up for my daily email and you and your friend will be entered to win the book of your choice. Click here to sign-up!